2018: December. 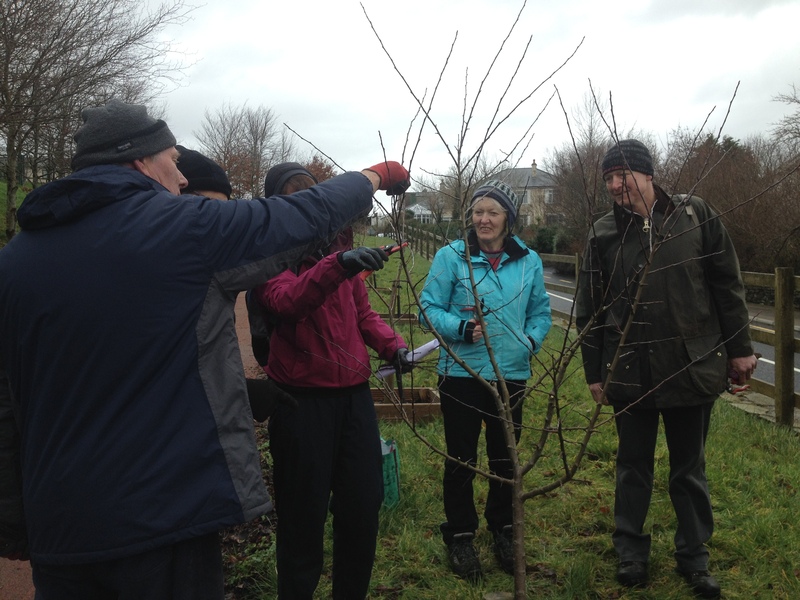 A freezing cold day as Caithriona takes the group pruning apple trees along Westport’s Railway Walk. 2018: January 29th It was chilly enough as we pruned Apple trees between the Elms and the Railway Walk. There’s a big variation in the state of the trees. One tree has been badly hit by canker – probably from over-zealous strimming. Another is thriving as it seems to get full sun. Great hands-on experience for students as they decide on which branches to prune and which to leave. March 2017: WE returned to prune apple trees we planted near the Quay in 2014 and haven’t been near since! Much love and attention required – pruning to an outward facing bud, clearing away diseased and inward facing branches. Great job! Big thanks to all our helpers. February 2016: Decisions, decisions – which branches to prune!? 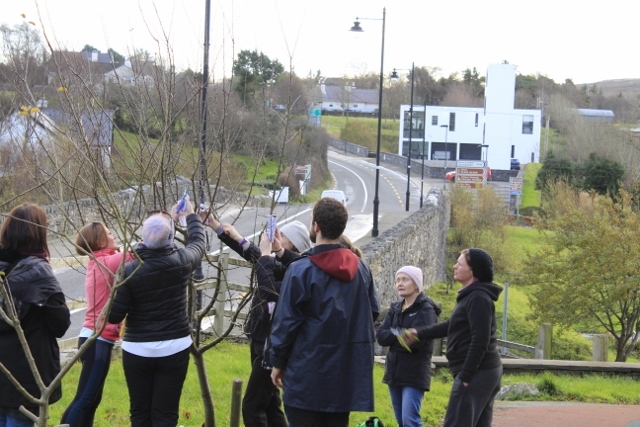 The Heritage Towns Initiative Project is a project the ELP is engaged in to conserve the lineage of fruit and nut trees grown in Westport town over many years. 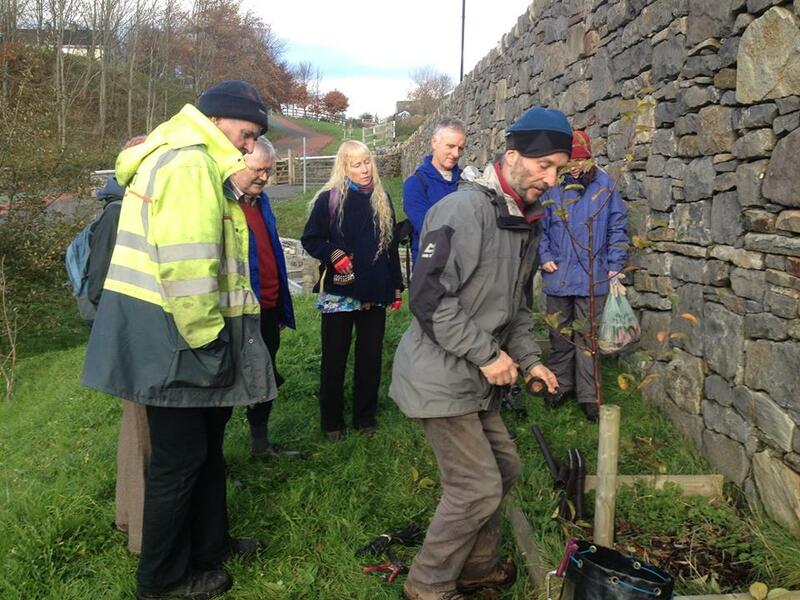 As well as sourcing and planting heritage trees we also run workshops teaching people how to maintain their fruit trees without using chemicals. An important part of this process is learning to prune trees correctly. 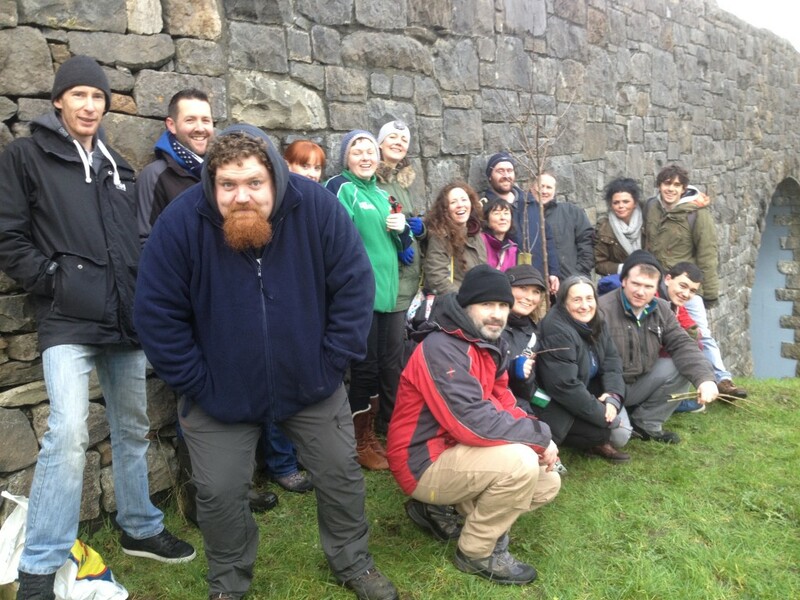 In both 2014 and 2013 the ELP organised practical tree pruning workshops along Westport Town Greenway and engaged Andy Wilson – www.fruitandnut.ie – as facilitor. 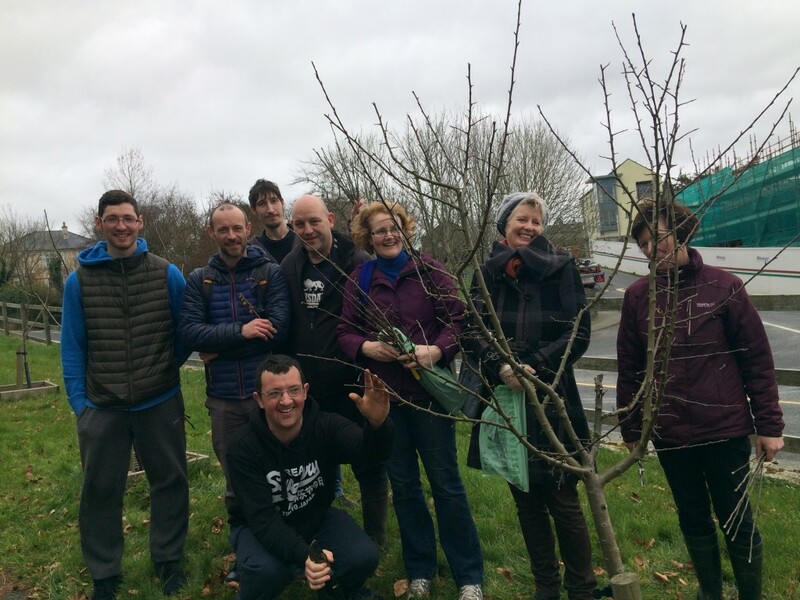 With a group of local people we then pruned all the fruit trees previously planted by the ELP along Westport Town Greenway. 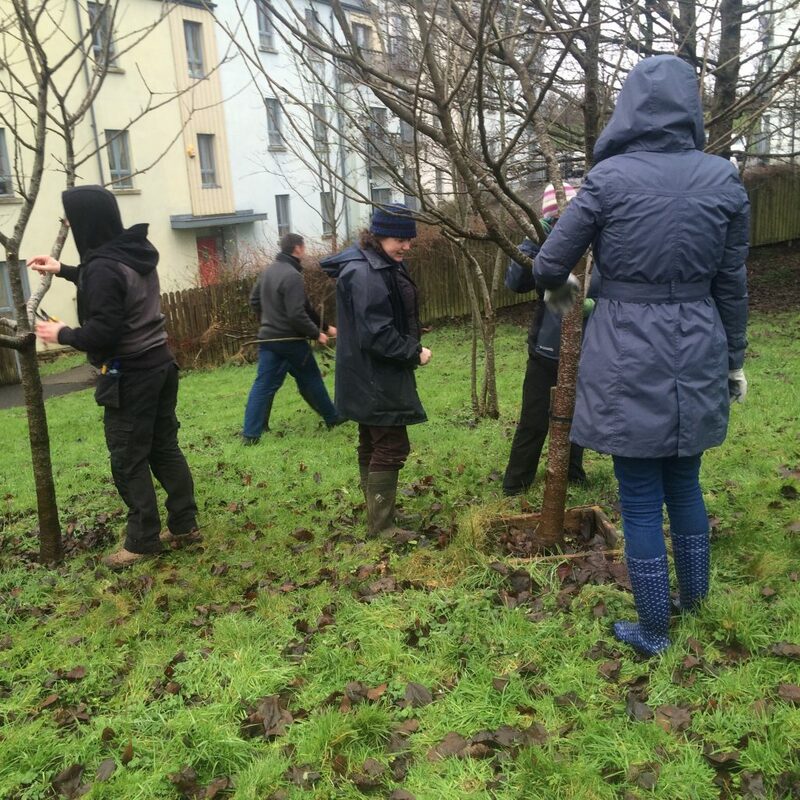 While we were at it we also pruned fruit trees planted by the Westport Sustainability Group in 2010!